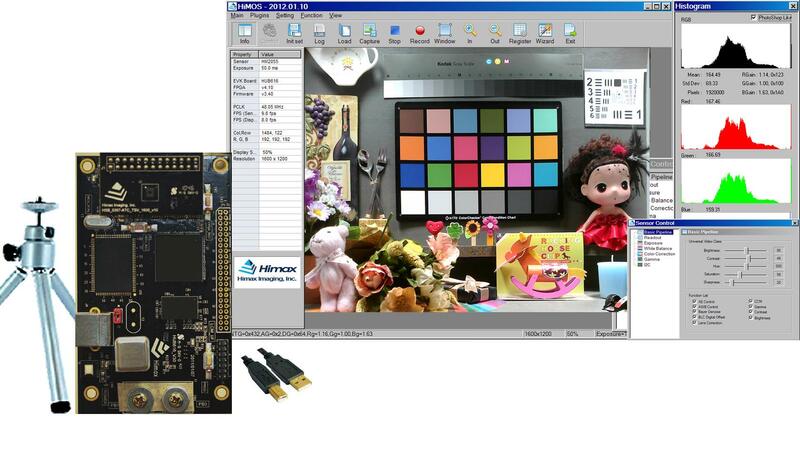 Himax Imaging Evaluation Platform is an easy-to-use USB based camera system that works with all Himax Imaging CMOS image sensors. The system allows the user to control, save, and load the image sensor and the color processing parameters. The HiMOS software provides image quality measurement utilities, image quality calibration tools, and video capture and playback functions. Please contact your local Sales team for additional information.